President Bush's nominee to succeed Donald Rumsfeld, Gates nearly saw his career go up in flames over charges that he knew more about Iran-Contra while it was underway than he admitted once the scandal broke. He was forced to give up his bid to head the CIA in early 1987 because of suspicions about his role but managed to attain the position when he was re-nominated in 1991. Despite the damage to his image, the president arguably got off easy, escaping the ultimate political sanction of impeachment. From what is now known from documents and testimony -- but perhaps not widely appreciated -- while Reagan may not have known about the diversion or certain other details of the operations being carried out in his name, he directed that both support for the Contras (whom he ordered to be kept together "body and soul") and the arms-for-hostages deals go forward, and was at least privy to other actions that were no less significant. In this connection, it is worth noting that Poindexter, although he refused to implicate Reagan by testifying that he had told him about the diversion, declared that if he had informed the president he was sure Reagan would have approved. Reagan's success in avoiding a harsher political penalty was due to a great extent to Poindexter's testimony (which left many observers deeply skeptical about its plausibility). 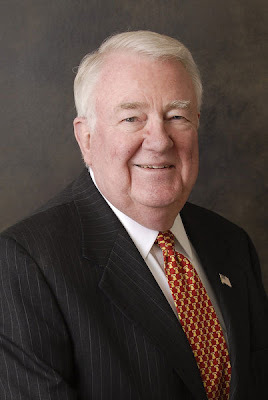 But it was also due in large part to a tactic developed mainly by Attorney General Edwin Meese, which was to keep congressional and public attention tightly focused on the diversion. By spotlighting that single episode, which they felt sure Reagan could credibly deny, his aides managed to minimize public scrutiny of the president's other questionable actions, some of which even he understood might be illegal. Twenty years later, the Iran-Contra affair continues to resonate on many levels, especially as Washington gears up for a new season of political inquiry with the pending inauguration of the 110th Congress and the seeming inevitability of hearings into a range of Bush administration policies. For at its heart Iran-Contra was a battle over presidential power dating back directly to the Richard Nixon era of Watergate, Vietnam and CIA dirty tricks. That clash continues under the presidency of George W. Bush, which has come under frequent fire for the controversial efforts of the president, as well as Vice President Richard Cheney, to expand Executive Branch authority over numerous areas of public life. Iran-Contra also echoes in the re-emergence of several prominent public figures who played a part in, or were touched by, the scandal. The most recent is Robert M. Gates, President Bush's nominee to replace Donald Rumsfeld as secretary of defense (see below and the documents in this compilation for more on Gates' role). This sampling of some of the most revealing documentation (Note 1) to come out of the affair gives a clear indication of how deeply involved the president was in terms of personally directing or approving different aspects of the affair. The list of other officials who also played significant parts, despite their later denials, includes Vice President George H.W. 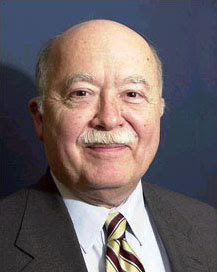 Bush, Secretary of State George P. Shultz, Secretary of Defense Caspar W. Weinberger, CIA Director William J. Casey, White House Chief of Staff Donald T. Regan, and numerous other senior and mid-level officials, making this a far broader scandal than the White House portrayed it at the time. 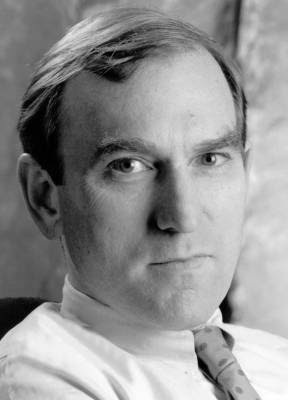 Elliott Abrams - currently deputy assistant to President Bush and deputy national security advisor for global democracy strategy, Abrams was one of the Reagan administration's most controversial figures as the senior State Department official for Latin America in the mid-1980s. He entered into a plea bargain in federal court after being indicted for providing false testimony about his fund-raising activities on behalf of the Contras, although he later accused the independent counsel's office of forcing him to accept guilt on two counts. President George H. W. Bush later pardoned him. 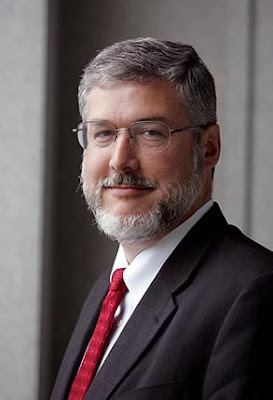 David Addington - now Vice President Cheney's chief of staff, and by numerous press accounts a stanch advocate of expanded presidential power, Addington was a congressional staffer during the joint select committee hearings in 1986 who worked closely with Cheney. 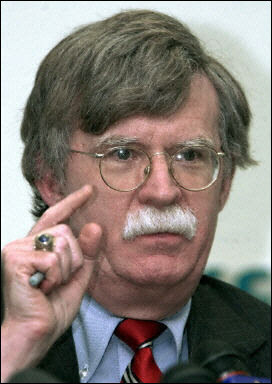 John Bolton - the controversial U.N. ambassador whose recess appointment by President Bush is now in jeopardy was a senior Justice Department official who participated in meetings with Attorney General Edwin Meese on how to handle the burgeoning Iran-Contra political and legal scandal in late November 1986. There is little indication of his precise role at the time. 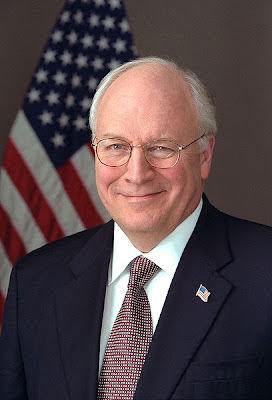 Richard Cheney - now the vice president, he played a prominent part as a member of the joint congressional Iran-Contra inquiry of 1986, taking the position that Congress deserved major blame for asserting itself unjustifiably onto presidential turf. He later pointed to the committees' Minority Report as an important statement on the proper roles of the Executive and Legislative branches of government. 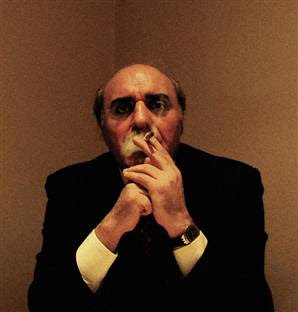 Manuchehr Ghorbanifar - the quintessential middleman, who helped broker the arms deals involving the United States, Israel and Iran ostensibly to bring about the release of American hostages being held in Lebanon, Ghorbanifar was almost universally discredited for misrepresenting all sides' goals and interests. Even before the Iran deals got underway, the CIA had ruled Ghorbanifar off-limits for purveying bad information to U.S. intelligence. Yet, in 2006 his name has resurfaced as an important source for the Pentagon on current Iranian affairs, again over CIA objections. 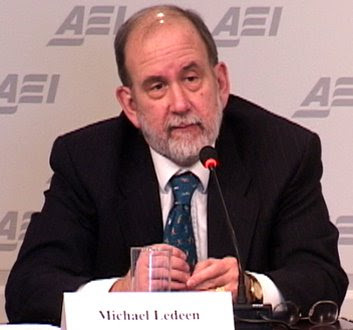 Michael Ledeen - a neo-conservative who is vocal on the subject of regime change in Iran, Ledeen helped bring together the main players in what developed into the Iran arms-for-hostages deals in 1985 before being relegated to a bit part. He reportedly reprised his role shortly after 9/11, introducing Ghorbanifar to Pentagon officials interested in exploring contacts inside Iran. Edwin Meese - currently a member of the blue-ribbon Iraq Study Group headed by James Baker and Lee Hamilton, he was Ronald Reagan's controversial attorney general who spearheaded an internal administration probe into the Iran-Contra connection in November 1986 that was widely criticized as a political exercise in protecting the president rather than a genuine inquiry by the nation's top law enforcement officer. Daniel Ortega - the newly elected president of Nicaragua was the principal target of several years of covert warfare by the United States in the 1980s as the leader of the ruling Sandinista National Liberation Front. 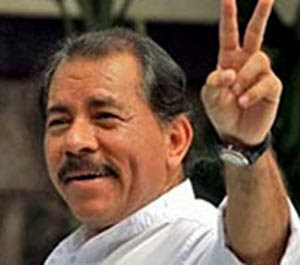 His democratic election in November 2006 was not the only irony -- it's been suggested by one of Oliver North's former colleagues in the Reagan administration that North's public statements in Nicaragua in late October 2006 may have taken votes away from the candidate preferred by the Bush administration and thus helped Ortega at the polls. John Poindexter - who found a niche deep in the U.S. government's post-9/11 security bureaucracy as head of the Pentagon's Total Information Awareness program (formally disbanded by Congress in 2003), was Oliver North's superior during the Iran-Contra period and personally approved or directed many of his activities. His assertion that he never told President Reagan about the diversion of Iranian funds to the Contras ensured Reagan would not face impeachment. Otto Reich - President George W. Bush's one-time assistant secretary of state for Latin America, Reich ran a covert public diplomacy operation designed to build support for Ronald Reagan's Contra policies. 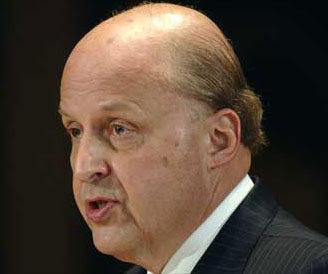 A U.S. comptroller-general investigation concluded the program amounted to "prohibited, covert propaganda activities," although no charges were ever filed against him. Reich paid a price in terms of congressional opposition to his nomination to run Latin America policy, resulting in a recess appointment in 2002 that lasted less than a year. On December 1, 1981, President Reagan signed an initial, one-paragraph "Finding" authorizing the CIA's paramilitary war against Nicaragua. A signed Finding confirms that the president has personally authorized a covert action, "finding" it to be in the national security interests of the United States. In this second Finding on covert action in Nicaragua, Reagan responds to mounting political pressure from Congress to halt U.S. efforts to overthrow the Sandinista government. This document defines CIA support for the Contras as a broad "interdiction" operation, rather than an explicit counter-revolution. The language, however, is deliberately vague enough to justify violent actions by the Contras and the CIA and to enable the CIA to work with other nations such as Honduras in the effort to undermine the Nicaraguan government. At a pivotal meeting of the highest officials in the Reagan Administration, the President and Vice President and their top aides discuss how to sustain the Contra war in the face of mounting Congressional opposition. The discussion focuses on asking third countries to fund and maintain the effort, circumventing Congressional power to curtail the CIA's paramilitary operations. In a remarkable passage, Secretary of State George P. Shultz warns the president that White House adviser James Baker has said that "if we go out and try to get money from third countries, it is an impeachable offense." But Vice President George Bush argues the contrary: "How can anyone object to the US encouraging third parties to provide help to the anti-Sandinistas…? The only problem that might come up is if the United States were to promise to give these third parties something in return so that some people could interpret this as some kind of exchange." Later, Bush participated in arranging a quid pro quo deal with Honduras in which the U.S. did provide substantial overt and covert aid to the Honduran military in return for Honduran support of the Contra war effort. In a "straight talk" memorandum to Casey, Robert Gates concedes that the CIA's paramilitary force, the Contras, cannot overthrow the Sandinista government. Invoking the Monroe Doctrine and the U.S. loss in Vietnam, Gates argues that the CIA-run Contra war is "an essentially half-hearted policy." He recommends that the Reagan administration initiate a "comprehensive campaign openly aimed at bringing down the regime," including "the use of air strikes" against Nicaraguan military targets. "The fact is that the Western Hemisphere is the sphere of influence of the United States," Gates advises. "If we have decided totally to abandon the Monroe Doctrine … then we ought to save political capital in Washington, acknowledge our helplessness and stop wasting everybody's time." In a comprehensive memo to National Security Advisor Robert C. McFarlane, Oliver North describes a plan to sustain the Contra war if Congress refuses to vote more funds. The plan calls for approaching key donor nations, such as Saudi Arabia, for more funds and having Honduras play a key support role. A year later, when Congress began to investigate illegal Contra support operations, North attempted to cover up these activities by drafting altered versions of certain memos, including this one, for Congressional investigators. To convince the Honduran government to not to shut down Contra bases in Honduras after Congress refused further appropriations, Robert McFarlane had President Reagan personally call President Roberto Suazo Cordova. "It is imperative … that you make clear the Executive Branch's political commitment to maintaining pressure on the Sandinistas, regardless of what action Congress takes," McFarlane advises in this briefing paper for the call. At the end of the call Reagan added some notes at the end of the document indicating that Suazo "pledged we must continue to support the friends in Nicaragua." Robert Gates faced intense investigative scrutiny in the aftermath of Iran-Contra over his knowledge of, and forthrightness about, North's role in the Contra resupply effort. Gates has maintained that he was unaware of the NSC aide's operational activities in support of the rebels. However, two of his former colleagues believe that he was aware, according to the Iran-Contra independent counsel's final report, which notes several pieces of evidence that appear to support that conclusion. Among them are these three documents, which relate to North's campaign to get the CIA to buy various assets his "Enterprise" had acquired in the course of working with the Contras. The first document, from Vincent Cannistraro, a career CIA official then on the NSC staff, specifically mentions "Ollie's ship," a vessel North and his associates used to ferry arms to the rebels, and indicates the subject will come up at Poindexter's next meeting with CIA Director Casey and DDCI Gates. Cannistraro later concluded from the discussion that followed that Gates was aware of the ship's use in the resupply operations and of North's connection to it. The second and third documents are e-mails between North and Poindexter. In his note, North says it appears the NSC (and possibly Poindexter himself) has instructed the CIA not to buy "Project Democracy's" assets. Poindexter's response, which is difficult to read, states: "I did not give Casey any such guidance. I did tell Gates that I thought the private effort should be phased out. Please talk to Casey about this. I agree with you." Oliver North sketched this organizational flow chart of the private sector entities that he had organized to provide ongoing support for the Contra war, after Congress terminated official assistance. The diagram identifies the complex covert "off-the-shelf" resource management, financial accounting, and armaments and paramilitary operational structures that the NSC created to illicitly sustain the Contra campaign in Nicaragua. In preparation for a secret mission by an emissary -- Assistant Secretary of State for Latin America Elliott Abrams - to seek secret funds for the Contra war from the Sultan of Brunei, the U.S. Ambassador in Brunei sent a cable stating that a meeting time had been organized during the Sultan's upcoming trip to London. Abrams used the alias "Mr. Kenilworth" in his meetings, and arranged for the Sultan to secretly transfer $10 million into a bank account controlled by Oliver North. "I said that we deeply appreciate his understanding our needs and his valuable assistance," Abrams cabled on September 16th, after the secret meeting. (The Sultan was given a private tour of the USS Vinson as a token of appreciation.) The funds were lost, however, because the account number Abrams provided was incorrect. Eventually Abrams was forced to plead guilty to charges of misleading Congress after testimony such as: "We're not, you know, we're not in the fund-raising business." In one of the most controversial efforts to enlist third country support for the Contra war, Oliver North arranged to meet Panamanian dictator Manuel Noriega in a London hotel in September 1986. In return for ending U.S. pressure on Panama for Noriega's drug smuggling operations and helping to "clean up" his image, Noriega proposed to engage in efforts to assassinate the Sandinista leadership. With authorization from National Security Advisor John Poindexter, North met with Noriega in a London hotel on September 22 and discussed how Panama could help with sophisticated sabotage operations against Nicaraguan targets, including the airport, oil refinery and port facilities. According to notes taken by North at the meeting, they also discussed setting up training camps in Panama for Contra operatives. 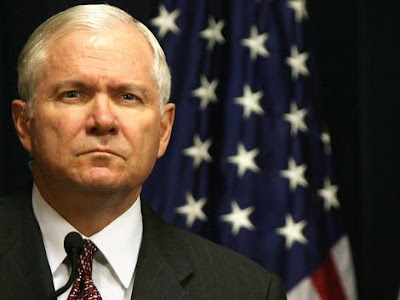 Robert Gates faced additional criticism for attempting to avoid hearing about the Iran and Contra operations as they were unfolding, instead of taking a more active role in stopping them. As Gates testified to the Senate Intelligence Committee in October 1986, his approach was to keep the agency's distance from the so-called private Contra resupply operation. "... [W]e have, I think, conscientiously tried to avoid knowing what is going on in terms of any of this private funding ... we will say I don't want to hear anything about it." In this memo for the record, Gates, clearly continuing to protect the CIA, relates that North told him the "CIA is completely clean" on the private resupply matter. The independent counsel's report later commented that "Gates recorded North's purportedly exculpatory statement uncritically, even though he was by then clearly aware of the possible diversion of U.S. funds through the 'private benefactors.'" The most secret part of the Iran-Contra operations were the quid pro quo arrangements the White House made with countries such as Honduras, Guatemala, Panama, Saudi Arabia, Israel and other governments who were enlisted to support the Contra war. 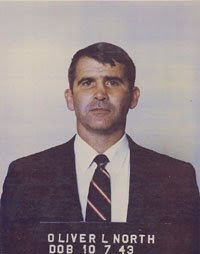 As part of his defense, Oliver North attempted to "grey mail" the U.S. government by insisting that all top secret documents on the quid pro quos should be declassified for trial. Instead, the government agreed to the "stipulation" - a summary of the evidence in the documents -- presented here. This comprehensive synopsis reveals the approaches to, and arrangements with, numerous other governments made by the CIA and NSC in an effort to acquire funding, arms, logistics and strategic support for the Contra war. The effort ranged from CIA acquisitions of PLO arms seized by Israel, to Oliver North's secret effort to trade favors with Panamanian dictator Manuel Noriega. In the case of Saudi Arabia, President Reagan personally urged King Fahd to replace funds cut by the U.S. Congress. In the end, the Saudis contributed $32 million dollars to finance the Contra war campaign. Of the six covert transactions with Iran in 1985-1986, the most controversial was a shipment of 18 HAWK (Homing-All-the-Way-Killer) anti-aircraft missiles in November 1985. Not only did the delivery run afoul -- for which the American operatives blamed their Israeli counterparts -- but it took place without the required written presidential authorization. The CIA drafted this document only after Deputy Director John McMahon discovered that one had not been prepared prior to the shipment. It was considered so sensitive that once Reagan signed off retroactively on December 5, John Poindexter kept it in his office safe until the scandal erupted a year later -- then tore it up, as he acknowledged, in order to spare the president "political embarrassment." The version presented here is a draft of the one Poindexter destroyed. The disastrous November HAWK shipment prompted U.S. officials to take direct control of the arms deals with Iran. Until then, Israel had been responsible for making the deliveries, for which the U.S. agreed to replenish their stocks of American weapons. Before making this important decision, President Reagan convened an extraordinary meeting of several top advisers in the White House family quarters on December 7, 1985, to discuss the issue. Among those attending were Secretary of State Shultz and Secretary of Defense Weinberger. Both men objected vehemently to the idea of shipping arms to Iran, which the U.S. had declared a sponsor of international terrorism. But in this remarkable set of notes, Weinberger captures the president's determination to move ahead regardless of the obstacles, legal or otherwise: "President sd. he could answer charges of illegality but he couldn't answer charge that 'big strong President Reagan passed up chance to free hostages.'" While the Finding Reagan signed retroactively to cover the November 1985 HAWK shipment was destroyed, this Finding and cover memo from which Reagan received a briefing on the status of the Iran operation survived intact. It reflects the president's personal authorization for direct U.S. arms sales to Iran, a directive that remained in force until the arms deals were exposed in November 1986. At the center of the public's perception of the scandal was the revelation that the two previously unconnected covert activities -- trading arms for hostages with Iran and backing the Nicaraguan Contras against congressional prohibitions -- had become joined. This memo from Oliver North is the main piece of evidence to survive which spells out the plan to use "residuals" from the arms deals to fund the rebels. Justice Department investigators discovered it in North's NSC files in late November 1986. For unknown reasons it escaped North's notorious document "shredding party" which took place after the scandal became public. While CIA Director William J. Casey, for one, supported McFarlane's idea of reaching out to Iran through limited supplies of arms, among other approaches, President Reagan's two senior foreign policy advisers strongly opposed the notion. In this scrawled note to his military assistant, Colin Powell, Weinberger belittles the proposal as "almost too absurd to comment on ... It's like asking Qadhafi to Washington for a cozy chat." 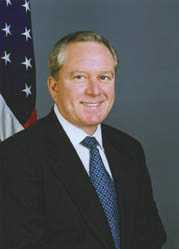 Richard Armitage, who is mentioned in Powell's note to his boss, was an assistant secretary of defense at the time and later became deputy secretary of state under Powell. Then-Vice President George H.W. Bush became entangled in controversy over his knowledge of Iran-Contra. Although he asserted publicly that he was "out of the loop -- no operational role," he was well informed of events, particularly the Iran deals, as evidenced in part by this diary excerpt just after the Iran operation was exposed: "I'm one of the few people that know fully the details ..." The problem for Bush was greatly magnified because he was preparing to run for president just as the scandal burst. He managed to escape significant blame -- ultimately winning the 1988 election -- but he came under fire later for repeatedly failing to disclose the existence of his diary to investigators and then for pardoning several Iran-Contra figures, including former Defense Secretary Weinberger just days before his trial was set to begin. As a result of the pardons, the independent counsel's final report pointedly noted: "The criminal investigation of Bush was regrettably incomplete." This memo is one of several documents relating to the Reagan administration's attempts to produce a unified response to the growing scandal. The session Weinberger memorializes here was the first that included all the relevant senior officials and it is notable as much for what it omits as for what it describes. For example, there is no mention of the most damaging episode of the Iran initiative -- the November 1985 HAWK missile shipment -- and the absence of an advance presidential finding to make it legal. This issue was at the center of administration political concerns since it, along with the matter of the "diversion," were the most likely to raise the prospect of impeachment. 1. For more complete collections of primary documents, see Peter Kornbluh and Malcolm Byrne, The Iran-Contra Scandal: The Declassified History, (New York: The New Press, 1993), and the National Security Archive's major microfiche set, The Iran-Contra Affair: The Making of a Scandal, 1983-1988 (Alexandria, VA: Chadwyck-Healey, 1989), now available on-line as part of the "Digital National Security Archive" through ProQuest Information and Learning. NOTE: SOME OF THE PICTURES IN THE POST ABOVE ARE INSERTED BY ME. Muhammad Aamir Mughal.